I'm hosting an audition for the 2nd issue of the Sonic Forces prequel comics. This casting call is for a comic dub that I''ll be producing for this digital comic. Hopefully it would be completed around a week or two depending on the time management. I expect the turnaround time to be of a week or less. -You must have a mic with great quality. If you're a voice actor, you don't wanna accidentally record lines with any background noise. Audio that's crystal clear is crucial! -You must have Discord. It'll be easier to contact you when you get the lines done. -Stay in character. I want everything to stay true to the actual characters in the games. 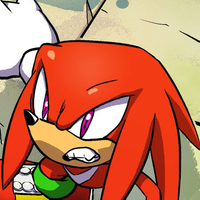 A red echidna who is the current guardian of the Master Emerald, He is also the sole remaining descendant of the Knuckles Clan and last of the echidnas on Earth. Knuckles is known for his incredible strength, and ability to glide. This issue takes place before he was the leader of the resistance, where he was guarding the Master Emerald as usual on Angel Island, when Chaos 0 emerges from the emerald and attacks him and Silver. "As much as I enjoy a good treasure hunt, you can't beat the peace and quiet of Angel Island..."
"Ha! You came all this way just for that? That's just Chaos. He's the peaceful guardian of the Chao. He's harmless." "I forgot he's got a bad temper-but, I know how to put him in his place!" 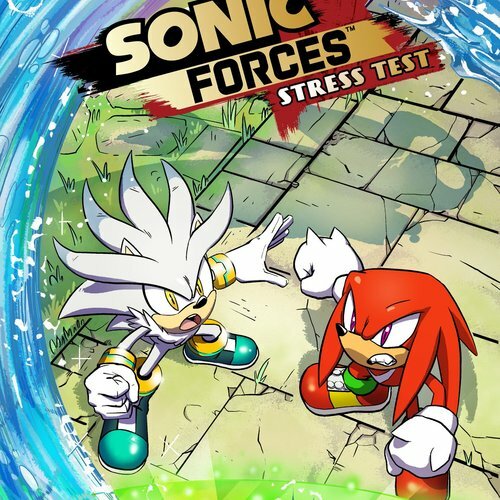 An anthropomorphic hedgehog hailing from at least two hundred years into the future where his role is to protect his time by changing the catastrophes of the past. Silver makes use of his psychokinesis, an ability from his time that is considered the norm. 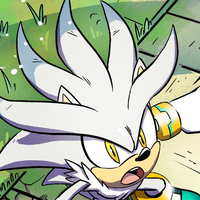 In this issue, Silver once again travels to the past to warn Knuckles of an inevitable threat, which happens to be an angry Chaos 0. His voice should sound like what it is from the games. "Knuckles! Oh good! You ARE here!" "This all has to tie into the calamity that's about to befall upon us!"